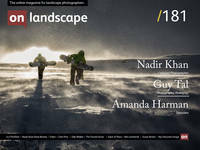 Joe Cornish, Guy Tal, Rafael Rojas, Paul Gallagher, Tim Parkin, and many more. We try to cover some of the most common and important questions relating to landscape photography and will always be looking for new writing talent. And we want to make sure that talent covers as many bases as possible from romantic to fine art, from philosophy to practical fieldcraft, from beginner to experienced. We're all community and we'll feature photographs by all of our readers (and prospectives, if we can convince them!). There is great photography being created everywhere and we want to be one of the best curated galleries to find new talent. We'll be asking different photographers to curate this section ensuring as broad a selection as possible. All you need to understand a location before you get there or even when you revisit. 360 VR, example photos, maps & more. We are building a range of location guides from in depth to overviews. Each of which isn't intended to tell you where the great photograph is but where there are great ingredients. What happens in the field that is at the heart of what landscape photography is about and we get out and talk to photographers, professional and amateur, to find out just how they work and think. There are some great photographers that are also great writers out there but for each one there are a score of others who have something to say and we'll get out and interview them for you. You'll get multiple perspectives on what it means to be a landscape photographer, professional or amateur. The magazine isn't just about articles though, we want to make On Landscape a one stop shop for anything landscape photography related. We've started to build a network of stringers who will feed us with good stuff and all you have to do is check the news page. Whether you shoot digital or film it's a rare photographer that doesn’t do anything to their images before printing and we look at the what you need to acheive rather than how the knobs work. We'll be providing these through screen recordings, online tutorials and workshop webinars and we'll be reacting to your requests for more info. As time goes by the resource will grow larger. One of the great things about being online is that we can provide multiple types of media from on location video to screen recordings and exhibition guides. Our video production team have been commissioned to create videos for manufacturers and photographers and we bring those skills to bear on producing the best rich HD video editorial for our readers. Although you don’t need to know everything about photography, most agree it helps. Our craft is one that has it's origins in engineering and although people can get away with knowing very little many people wish to understand their craft either in order to get more from their cameras, post processing and printing technologies (or just because they find the subject fascinating).